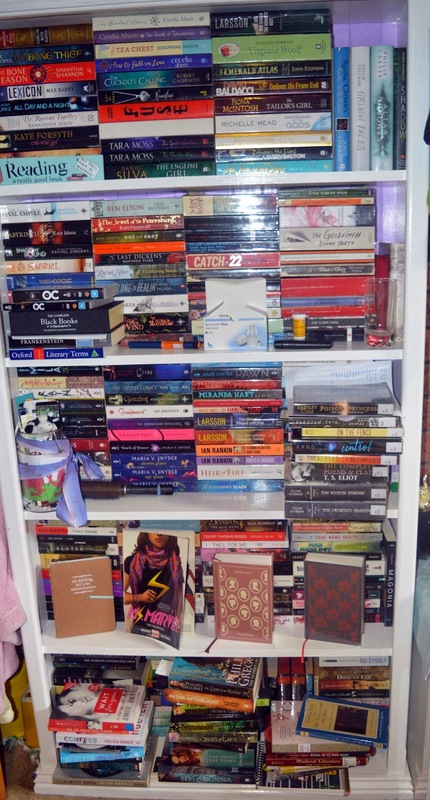 For me, Literature is the most important thing in the world. My life revolves entirely around books – whether it’s reading them or discussing them with my friends, or just staring at them. The written word is everywhere – it’s social media, it’s in the newspaper, it’s in marketing. It’s an incredibly important aspect of our lives, yet reading isn’t nearly as popular as it used to be. The value of literature is going downhill. People will go and see the film adaptation rather than reading the book, but we readers all know how much better the book is. Then there’s the issue of all those articles that have been appearing lately demeaning YA and its readership. I’m not going to start on that issue because it’s something that makes me unbelievably angry. My point is reading suddenly isn’t ‘cool’ anymore. It’s become my life mission to change this – I buy people books for their birthdays, I lend books to certain people and I talk so much about literature that I feel that eventually the people I talk to will read something just to make me shut up. I was lucky enough to grow up in a family of readers so I’ve tried a little bit of everything. One of my favourite things is translated literature. It sounds very lame, but I love being able to experience texts and authors that I wouldn’t be able to without translations. Unfortunately, I don’t speak every language in the world but I hate that it means I’ll miss out on some really good books. When I think of books that I couldn’t have read without the translation, two really stick out – Beowulf (as translated by Seamus Heaney from Old English) and The Diary of a Young Girl by Anne Frank (translated from Dutch). These two are some of my favourites, and it’s weird to imagine not being able to read them. Anne Frank, in particular, changed my life and how I see the world – it’s weird to think how different things might be if I’d never read it. That’s my roundabout way of saying that I think translations are important. There’s so much information to be shared in this world, information that could change the way someone thinks or change how a whole society thinks, to only ever share it with the speakers of one language. Translations aren’t always easy to come by, and so there are a lot of websites and blogs that we miss out on because of language barriers. Translation companies like Smartling are working toward spreading messages like these to a larger audience so that we can all experience a more exciting and diverse world. I want to thank everyone who commented on my post The Millicent Effect in which I talked about branching out to things like this. I was so worried about posting this but you were all so supportive of the idea. I hope it didn’t disappoint. 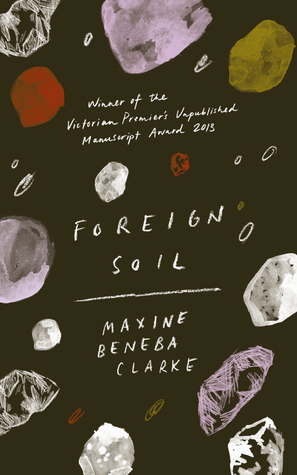 On the 12th of March, the shortlist for the Stella Prize was announced. For those of you who might not know, the Stella Prize celebrates Australian women and their contribution to literature. I've never really paid much attention to literary awards - I read the books I'm interested in rather than just reading ones because they've been nominated for or awarded something. However, this year I decided to change that. Some of you may have guessed that I feel very strongly about female authors and I've been trying to support more this year. Then I remembered the Stella Prize, and I thought why not read and review those books. Not only do I get to support women, but I get to support fellow Australians too which is really cool. This is just a post to say that it is my plan to read through the 2015 shortlist and to review each of them here (and on Goodreads). The winner will be announced on the 21st of April and so I'm hoping to read all six by then. So let's briefly talk about the six nominated pieces. All I know about this one is that it follows a little boy named Jimmy who has an alcoholic and abusive father, and that it is supposed to be a truly beautiful and haunting story. This a non-fiction piece, I believe, which is something I usually steer very clear of but the synopsis says that it 'tells us about our individual, social, and anthropological pasts' and as I am studying anthropology this semester, I thought it would be interesting thing to read. This is 1950's Perth with refugees from Europe and an Australian boy caught up in the polio epidemic. It sounds incredibly interesting, and it's also the one that has the longest hold list at the library... I'm 41st in line. I just started this one about an hour ago, and from what I can tell so far it is a collection of short stories that all focus on displacement as a theme, but through different voices and in different settings and times. This is 1930's Melbourne (um, GIVE IT TO ME) that tells the friendship of two young girls. It also looks at art, family, friendship and ambition. This is another story collection, but this one is split into three parts: Heat, Water, Light. I don't know much else about this one, but I think it's one of those to go into blindly. Those are the six books, if you'd like to learn more about them then check out these two posts here and here. I'll be doing a wrap up around the 20th of April about how I went with these books and I'll link all the reviews within that so if you're interested in seeing what I think then look out for that. I'm hoping I get the chance to read the other six books that make up the longlist as well as a few from 2014 and 2013, but I'll be working my way through those a little slower. That's right, this post is our five hundredth (not including our million random drafts) on this blog. We just want to thank you all for your support and lovely comments, and we promise that we'll be more active in the next coming months! 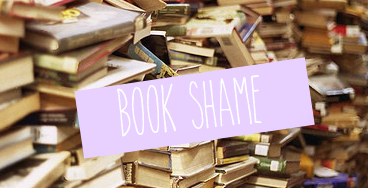 Book Shame is a monthly post here on A Book So Fathomless where I pick out four books from my TBR jar, talk about them and then challenge myself to read them before the next post. I know this is a little early in the month, but I’ve already finished my four books from last month so I figured there was no point waiting. 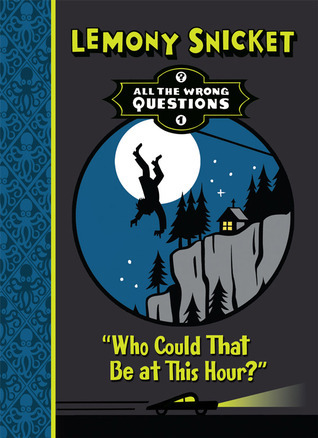 I liked Who Could That Be At This Hour by Lemony Snicket, and you can see my review here. Unfortunately, I didn’t love Charlotte Gray or Castle Dor as much as I’d hoped. I didn’t techanically read The White Queen but I was doing research on the series and everyone recommends starting with The Lady of the Rivers (which I already own) so I’m going to start that this weekend. I picked out four really great books for April. I really love that I don’t tend to pick YA novels out of my TBR jar, which means I pick up things that I might not otherwise read for months. I’m trying to read 12 Agatha books this year and so far I’ve only read one, so I’m happy to have picked this one out. This is one of her books that I know literally nothing about. I love me some Maureen Johnson. Seriously, I adore everything I’ve read by her. Again, no idea what this is about. It’s been a while since I’ve read any Orwell, but this is probably the book of his that I am most excited for. Also, I’ll be visiting Paris and London in a few months so this should be a really interesting read. I’m not even going to try and pretend that this isn’t the book I’m most excited for. This a re-read for me as I went through a massive Nancy Drew stage when I was younger. I’m so excited to return to one of my favourite characters. I’m genuinely excited for all of these. They are all reasonably short books so hopefully I can get through them quite quickly. The sequel to Every Breath and Every Word.After the dramatic events of London, a road trip back to her old home in Five Mile sounds good (in theory) to Rachel Watts, with her brother Mike in the driving seat. But when Mike picks up his old buddy – the wildly unreliable Harris Derwent – things start to go south. This book was sent to me by the publisher in exchange for an honest review, but this in no way alters my thoughts and opinions. Oh my god. Can I just say that first? Just wow. The Every series is one of my all-time favourite series. I’m sure this doesn’t surprise any of you. I’ve fangirled thousands of times about these books, and about James Mycroft in particular and now the series is over. I was terrified to read this final book. I’m already really awful at finishing series but the idea of finishing this one actually made me anxious. It sounds ridiculous but I love Rachel Watts and James Mycroft almost more than anything else in this world and I wasn’t ready to let go of them. I’ll never be ready to let go of them. The thing was I found it hard to trust Ellie Marney – I knew from past experience that she wasn’t above causing us all serious harm. I was about to say that I got over that fear, but I really didn’t. I read this a little slower than I usually would for a couple of reasons. One, I didn’t want it to end. Two, I had class. Three, it was very heavy in parts. 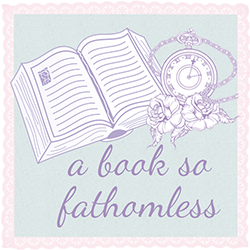 When I say this, it wasn’t a bad or unnecessary heavy – it was super well done, in fact it was so well done that my own feelings echoed Rachel’s at points in the book. It was actually so intense that I had to put it down every few chapters and watch something on YouTube or do something else just to calm down. I don’t think I’ve ever experienced another series that has literally sent me into panic attacks because I couldn’t handle anything happening to my babies the characters. You might think that would make me dislike this series, but nope, I can’t get enough. What can I say? James Mycroft is like my own personal torture device. I don’t know how else to review this other than to say that he met all of my expectations. Last books in series are always a gamble – they can be incredibly disappointing, or just not quite as good, but this one. This one was amazing. I don’t know if it was better than the others – this entire series is just perfect to me. I honestly can’t pick a favourite because I love them all so much. I loved the plot in this one, and the mystery. I honestly didn’t pick the person until Rachel and Mycroft did, which is my favourite thing about reading crime/mystery novels. 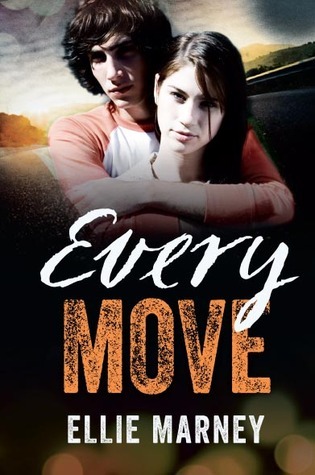 There were so many twists and turns that I just did not see coming and things I expected that were completely turned on their heads while I sat there, gaping at the amazingness that is Ellie Marney. I honestly don’t know how I’m going to move on from here. What do you do after one of your favourite series ends? In a way, I’m glad that it’s over because it means I get to reread it again and again and just sob into a cup of tea. Thank you Ellie Marney for ripping my heart out of my chest and stomping on it throughout this trilogy. Also, thank you and the lovely people at Allen and Unwin for sending me a copy of this book to have and adore for the rest of my life. Genre: Middle Grade, Mystery, Humour. 1. Are you curious about what is happening in a seaside town that is no longer by the sea? 2. Do you want to know more about a stolen item that wasn't stolen at all? 3. Do you really think that's any of your business? Why? What kind of person are you? Really? 4. Who is standing behind you? Anyway, this was sort of a strange book for me. I loved it because it’s Lemony Snicket and it’s a prequel to my absolute favourite book series ever (sorry HP! ), but at the same time, I didn’t care about the story as much. The characters weren’t as interesting as the Baudelaires (Violet beats everyone), and the plot was even more confusing than the original, which is seriously saying something. I know quite a few people who were disappointed in this so I didn’t really go in with high hopes, but I don’t think that I was disappointed but I expected more. I’m really interested to see where this is going to go and I’m hoping to re-read the original series again once I’ve finished this to see how it all clicks together. If I wasn’t so in love with ASoUE, I don’t know that I’d continue this series. That being said, I do adore Snicket’s writing because its sort of ridiculous, and serious and witty, and dark, and intelligent all in one. I’m so excited to be back in his world, though I'm not entirely sure that I ever really left. Labels: 2015, 4/5, All the Wrong Questions, book review, ely, Lemony Snicket, Who Could That Be At This Hour?